It’s been almost two weeks since we bought the bus and I think it’s high time we gave you a tour of our future home. There’s no question that this project is huge; even getting to a point where we can set out on the road is going to take hundreds of hours of hard work, countless tough decisions, and thousands of dollars. One of the most important decisions that we will have to make over the course of this project has already been made with the purchase of the bus. 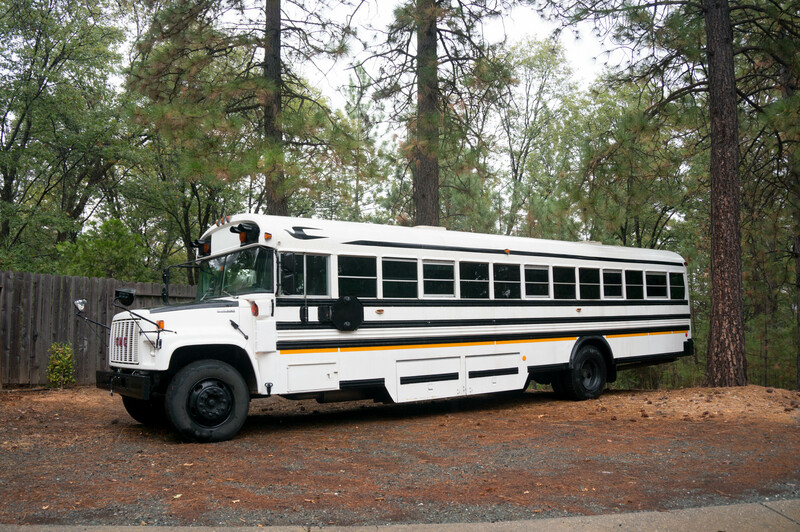 Knowing that the bus is the foundation of our home and a key part of our investment added a tremendous amount of pressure to the decision of what bus we should purchase. Where does one look for a bus? Buses are amazingly easy to find. Locating buses that are affordable and in good condition is the tricky part. Craigslist, public auctions, and used bus dealerships are where the majority of buses are bought and sold. We kept our eyes out for auctions and dealers but ultimately did most of our searching through Craigslist using SearchTempest to view listings all over the country. We weren’t particularly picky about the location, but knew that buses in warmer inland locations were preferable because they are less likely to have advanced rust from salted winter roads. In speaking with the owners, we learned that the bus had originally operated in Massachusetts and was recently driven out to California after being purchased from a bus dealer in New Hampshire. 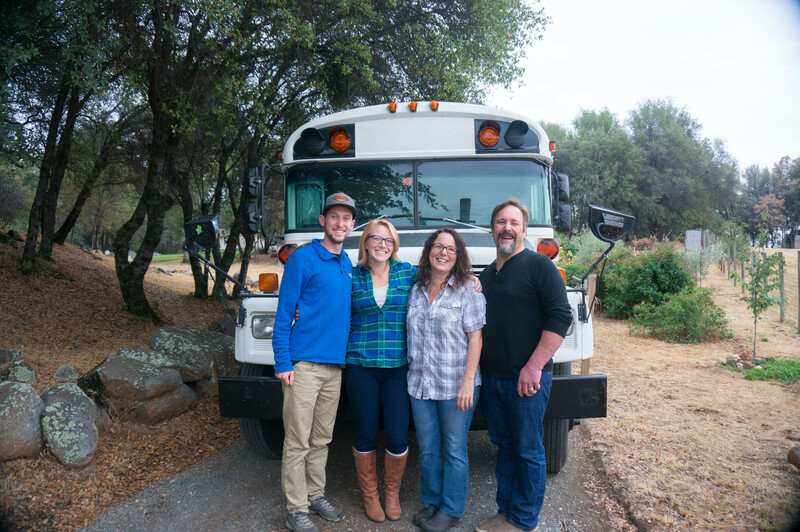 We spent some time with the owners and learned that their original intention was to convert the bus into a mobile restaurant. They had already done some work on it, such as removing the seats and painting it white. This was a plus as yellow buses are illegal to drive in many states. In listening to their stories, it was clear that this bus was very special to them, and they had a difficult time seeing it go. For us this was a good sign that it had been well taken care of. Even with the endless amount of research I did before our purchase, I’m still far from an expert on buses. With this in mind, I hired a local diesel mechanic to come out with us for an inspection. This turned out to be a huge plus, as he was able to point out all of the red flags that we might have missed. As it turned out there were a few leaky seals and some rust damage on the shocks that meant some costly repairs. Even though the bus came from the Northeast making rust a potential problem, the rust on the body and chassis overall seemed pretty manageable. 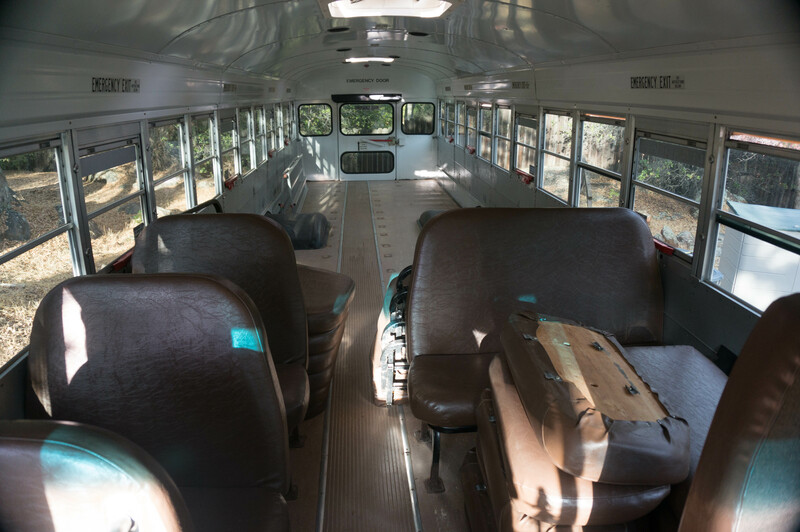 Knowing how much work would need to be done to get everything up and running, we were able to negotiate the price on the bus to a point where we would be able to do the work and remain within our budget. 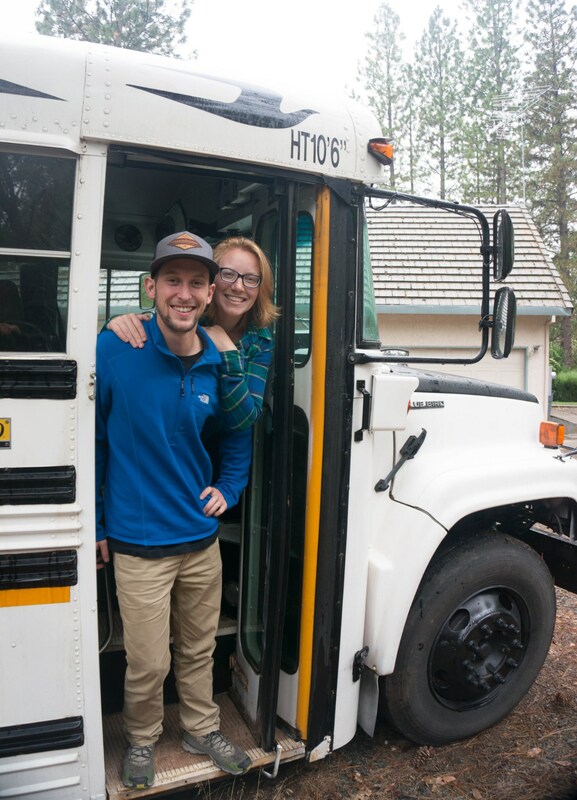 We settled on $5,500 for the bus, which left us another $1,000 in our bus budget to do the necessary repairs. Alyssa and I with Jaffe & Allison, the previous bus owners, right before we drove her home for the first time. With the negotiations done and the paperwork signed, I hopped behind the wheel and embarked on my maiden voyage with our new soon-to-be home on wheels. Some interior shots. The seats have mostly all been taken out already. 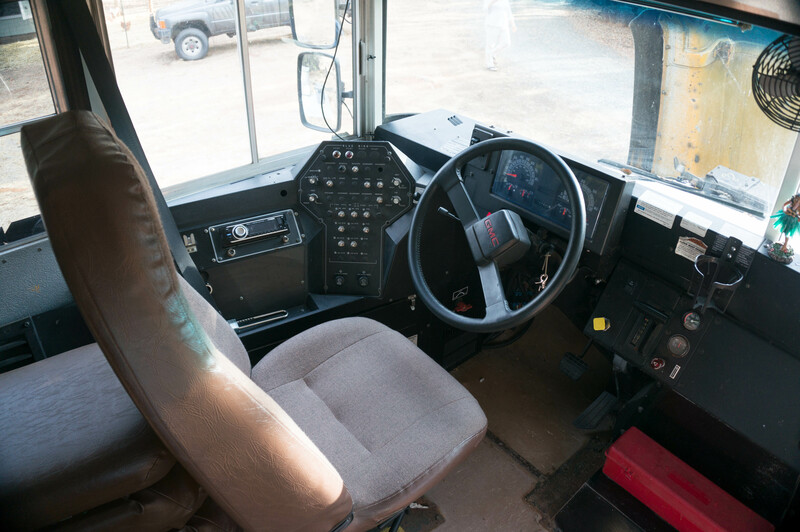 The condition of the dashboard is a pretty good sign that the bus has been well taken care of. Checking out the bins. Having space under the bus is essential for generator and tank storage. Overall, we are really happy with the bus. Making the decision to buy it was the first of many big choices in this project. The only bummer so far is that we can’t get started on the conversion right now!